They walked me through the entire process and educated me along the way. They had no problem explaining the various options that I had available, so I could make an informed decision. They were very honest, very thorough, and they really helped me out. They did a good job, they were very efficient, and they had very good quality. Rich was really good about letting me know what was going on with my car, and he had good communication. I would highly recommend them. They do good quality and fast work. He went out of his way to help me. I would give them a '10+'. I liked the speed of the service. Jennifer and Rich Lezcano are owners of Simply Superior Auto Body. 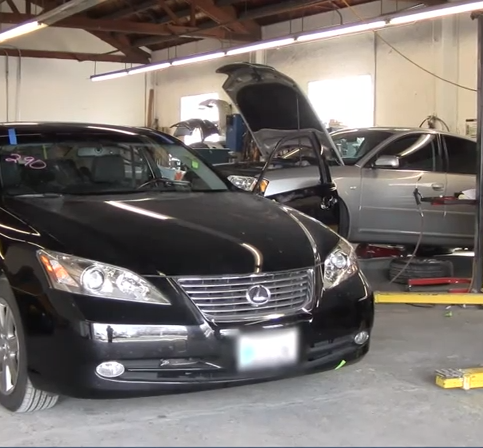 Simply Superior Auto Body provides a wide range of collision repair and restoration services for all types of vehicles (with a special focus on Lexus and other fine imports) at its Concord facility. The company is experienced in all aspects of body repair, from welding and adhesive bonding to fastening and painting. 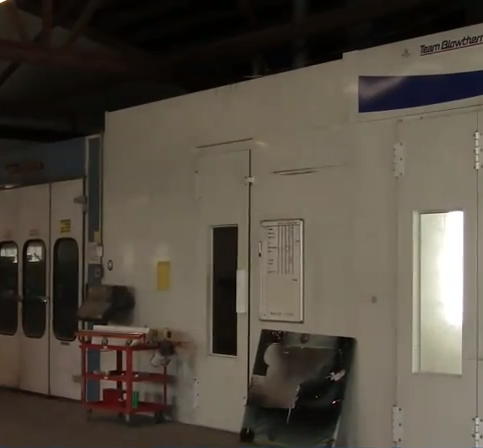 It utilizes a variety of state-of-the-art equipment, including a laser measuring system that straightens frames to their factory specifications. Simply Superior Auto Body exclusively uses waterborne paint made by Auto Color, an industry leader that is part of the PPG Industries line. In addition to allowing for high-quality color matching and clear coating, the paint is environmentally friendly and meets all necessary air quality requirements. 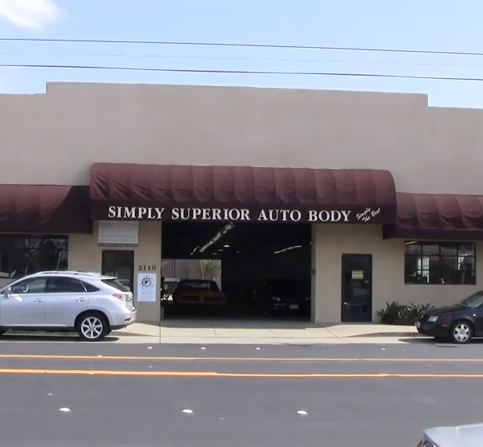 Simply Superior Auto Body has been providing a wide range of collision repair and restoration services for all types of vehicles (with a special focus on Lexus and other fine imports) at its Concord facility since 1981. All the company’s technicians are I-CAR certified and trained to use a variety of state-of-the-art equipment, including laser measuring and frame straightening systems that restore cars’ frames to their factory specifications. “We also take pride in only using high-quality, environmentally-friendly waterborne paints,” adds Mr. Lezcano. Brace for impact. Make sure you’re satisfied with your insurance policy’s collision deductible. It’s often set at $500, but you can bump it up to $1,000 to save on insurance rates over time. If the accident is your fault, be prepared to pay the full deductible amount out of pocket. Understand the system. Your insurer may direct you to its list of approved repair shops. Be aware that these shops receive pre-negotiated rates from your insurance company, so they may be tempted to take shortcuts with your vehicle in order to save money. Get more than one estimate. Take notes when the first shop you visit tells you what kind of repairs you need and how much those repairs will cost. Then call three or four different shops and ask how much they would charge for the exact same work. Try a variety of businesses, including independent shops, chain outlets and dealerships. Know what to expect when it comes to replacement parts. Many insurance companies want repair shops to use less expensive salvage or generic replacement parts instead of original equipment manufacturer (OEM) parts, which match your vehicle exactly and cost more. You may not have much of a choice if you’re responsible for the accident, but if you’re not at fault, instruct the shop to use OEM parts. Clarify your rental car expenses. Auto body repairs often take longer than expected, which means you could be forced to drive a rental car for longer than you’d prefer. If you regularly pay a nominal monthly fee for rental car insurance, you might only be reimbursed for the rental of a compact car. If such a small car wouldn’t work for your lifestyle, it might be time to reevaluate your coverage. Do you have a European car? If so, your repair shop should have a special certification from the car’s manufacturer, along with specialized equipment to fix the vehicle’s aluminum and hard steel parts. Your insurer should pay for these specialized repairs even if its approved shops aren’t equipped to handle the job. Don’t be swayed by your insurer’s warranty. As a way of encouraging you to use a shop in its network, your insurance company may offer a warranty on replacement parts. This warranty often isn’t necessary, because most shops guarantee their work and manufacturers guarantee their parts. Make your sign-off a requirement. Clarify that no work should be done unless you’ve authorized it first—especially if you’re paying the majority of the repair costs. When you pick up your car, carefully look over the bill and make sure everything matches up with the original estimate. If you spot anything you didn’t authorize, call attention to it. Q: Will you work with any insurance company? A: Yes. We work with any insurance company, but we don’t work for them—we work for you. We’ll facilitate the insurance payment and be your advocate in the process to ensure your insurance company pays to have your car repaired properly. Q: Do I have to go to the auto body shop my insurance company recommends? A: No. 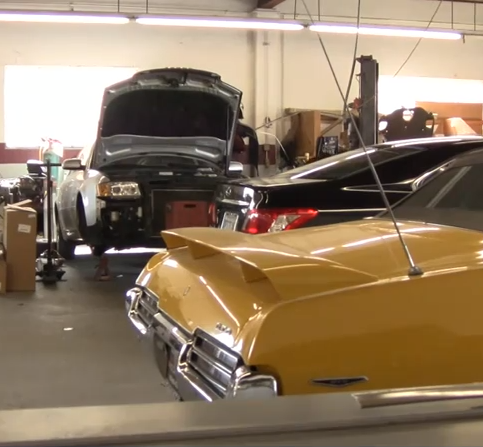 By California law, your insurance company has to work with whatever licensed auto body shop you choose. 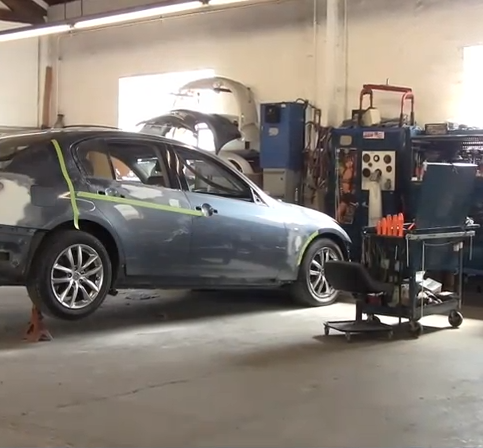 Choosing a direct-repair facility can be problematic, because sometimes those shops cater to insurance companies because of the business they bring in. When you choose an independent shop, that shop works for you, not your insurance company. Q: Do you use original equipment manufacturer (OEM) parts? A: Yes, but not all insurance policies will pay for factory parts. Depending on your insurance, you may be liable to pay the difference in price. A: We provide a lifetime warranty on our workmanship that’s good for as long as you own your car. The warranty on parts and paint varies with the manufacturer. Q: Do you provide towing and shuttle service? A: Yes. We don’t do the towing ourselves, but we can make arrangements. Q: Do you provide rental cars? A: Yes, we can arrange a rental car for you. 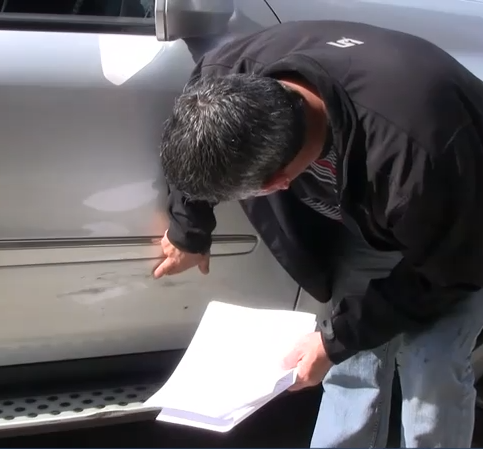 Owner Rich Lezcano assesses the damage to a customerÛªs vehicle. Simply Superior Auto Body provides collision repair and restoration services. Simply Superior Auto Body exclusively uses waterborne paint by Auto Color. 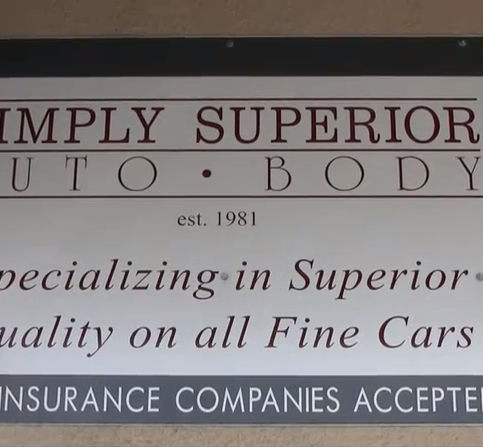 Simply Superior Auto Body prides itself on being independently owned and operated. The shop handles all aspects of body repair, including welding, fastening and painting. Rich Lezcano is CEO of Simply Superior Auto Body, a Diamond Certified company since 2011. He can be reached at (925) 398-3605 or by email. A lifetime resident of the Sun Valley, Rich resides in Walnut Creek with his wife, Jennifer, and their sons, Joshua and Nicolaus. Outside of work, he likes to spend as much time as he can outside, particularly on the golf course. “I really enjoy golf—even though it drives me insane, it still puts me in a relaxing place,” he laughs. A: A 1978 Fiat Brava. A: Thanksgiving, for two reasons: family and food. CONCORD — Following an accident, an insurance company may deem a car to be “totaled,” which means they reimburse the owner for its cash value rather than repair it. The problem is, it’s not unusual for an insurer to value a totaled car at a significantly lower amount than the owner was expecting. Fortunately, there are some proactive steps you can take to maximize your cash reimbursement. The first thing you’ll need to do is independently establish your car’s actual cash value (ACV) by gathering a sample of what similar vehicles are selling for. Get prices on 20 vehicles with the approximate year, make, model and condition as yours, and then do some simple math to determine the average. Remember to document your sources (URLs, newspaper clippings, etc. )—you may need to provide them later. Once you’ve determined your car’s ACV, it’s time to play ball with your insurance company. If their estimate of your car’s worth is less than the ACV you’ve determined through your research, you can use your information to counter their offer. Keep in mind that you should do your research prior to getting a number from your insurance company. If you have your figure ready when they approach you with theirs, they’ll be more likely to work with you. Also, since tax is usually included in the insurer’s settlement figure, ask for their pre-tax number in order to establish a more even comparison. 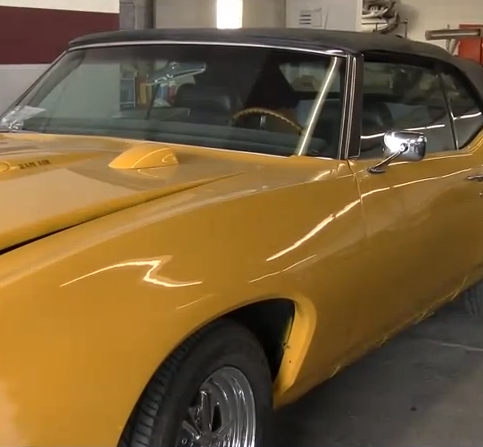 This may seem like a minor detail, but the tax on an expensive car in California can amount to a lot of money, so it’s important to factor it in. CONCORD — Host, Sarah Rutan: In the unfortunate event that your car is totaled, it’s important to know how to maximize its insurance value. Today we’re in Concord with Diamond Certified Expert Contributor, Rich Lezcano of Simply Superior Auto Body to learn how. Diamond Certified Expert Contributor, Rich Lezcano: Once you’ve determined that your car has been totaled by the insurance company, there’s a few steps that you can use to maximize the value of the settlement that they’re going to give you. You want to establish the actual cash value of your car, ACV. You get that by getting a good sample of vehicles like yours, try to find about 20, and cut the bottom half out of the value, the average that you get on the value of the vehicles. Then you take that information and you put it in your back pocket. It’s going to be time to play poker with the insurance company. They’re going to provide you with a value of what they think your car is worth. If their value is less than what you think your value is, you provide them that information, URLs, clippings from the newspaper, whatever means you have. If they come in at higher value, you just keep it in your back pocket, take the money, and move on. It’s important to have that value what you think the car is worth when you speak to them about the settlement number, because if you come back after they’ve given you a figure, it looks a little crooked. If you have the figure at the time that they approach you with the number, they’re more on their heels and they’re willing to accept some of the numbers that you’re proposing. Also, the tax is usually included in that settlement figure, so make sure that you give them numbers without tax and you ask for their numbers without tax so they have an even basis. On a very expensive car at 9% in our area it can amount to a lot of money on that settlement value. 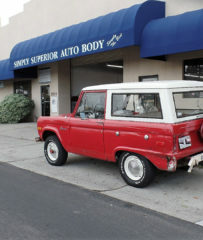 Simply Superior Auto Body : Average 9.5 out of 10 based on 250 unique customer surveys of customer satisfaction. Good service, and they only recommend repairs that are necessary. They provide a good and accurate estimate. They work with the insurance company and make changes if they are needed. They just do excellent work. Everything, I had been there maybe 4 or 5 years before, and they remembered that. That they are very courteous, and they meet all estimates and time. Just the service, and they always keep me updated. They are very professional in the way they run their business. They were very knowledgeable about what needed to be done, and they weren't looking to make money. They were looking to make me satisfied. They were close to the dealership, and I haven't had any issues with them. They did good work. I brought in a car that was valuable to me, and they did good work on it. I had a utility vehicle, and they worked with me. They said that they could do it and that it would cost me a certain amount. They were honest and told me to take it to a cheaper shop. They did good work, and they explained what they were going to do first. They did what I asked them to do. They accommodated my schedule, and they communicated. They let me know everything. For me, they went to bat against the insurance company, and they were able to get new parts, not some used off-brand parts. They fight for the consumer to get factory parts, and their workmanship is superior, like their name. They are pretty fast. It was seamless. They were the middle people between the insurance company and myself, and they made it really easy. Because it was a small facility, they knew who I was when I walked in the door, so I felt like there was personal service. I would tell them to go down there. They fixed my back fender, and you could never tell that it was ever damaged. It was superior. They are dependable, timely, and very professional. Rich really knows what he is talking about, and before you leave, he makes sure that you are satisfied. My car looks perfect. He is a great guy, very honest. They are responsive, and they keep you up to date about what is going on. I would say that they do top quality work. They are very friendly and very professional. They will make your car look like new. I worked directly with Rich, the owner. He was very professional, very informative, and he explained what he was going to do. He made sure I got the best parts, and he was very personable. They were personable, and they gave me their professional opinion. The work they did was good. I would tell them not to hesitate to use them.